In Shared Web hosting, normally we won't be having access to the root folder php.ini file for changing any settings. Some settings can be changed by putting another php.ini in our required folder. In this case the value will be taken from php.ini located in our folder instead of from the root folder. But it will not be applicable for all the settings. Some settings can not be overridden. Say for example, display of error message in the browser will be disabled by default in all production environments. But it seems putting this setting should be changed only in the php.ini file available in root folder. But we may need to see the error message if our webpage is not working properly. We can not ask the shared web hosting company to turn on the error message. Because it will affect other people websites also. To avoid this issue, the below code can be placed in the php file for enabling the error message display for the particular page. Currently Google knol is providing separate RSS feed for each knol and for each Author. It won't be much useful. Because we need to subscribe to multiple feeds to know latest happenings in knol. So, I decided to combine these separate RSS feeds into one single Feed. 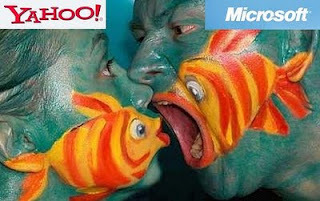 I came to know about Yahoo Pipes when trying to combine these multiple RSS feed into single one. Combining multiple Feeds using Yahoo Pipes is very simple. 2. Click on "Create Pipe" link. 3. Below webpage will appear. 4. Drag the "Fetch Feed" from left side menu bar to the central place. The below screen will appear. 5. Enter URL of multiple feeds one by one by clicking "+" icon in the "Fetch Feed" box. 6. Once after entering the all feed urls, connect the circle in the "Fetch Feed" to the circle in in "Pipe Output" box. 7. Click "Save" and then enter Pipe name. 8. Click "Run Pipe" to get the combined Feed. You can refer our knol for seeing the sample combined feed. But still I am looking into resolving some issues such as ordering the feed items based on activity datatime instead of ordering it based on author. Google has released Moon in Google Earth to celebrate 40th anniversary of Apollo 11 moon landing. It allows users to explore lunar images and related lunar content. 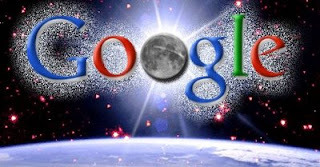 For seeing Moon in Google Earth, we need to install version 5 of Google Earth. In Google Earth, look for the little planet icon in the upper middle and we can see a new option "Moon". 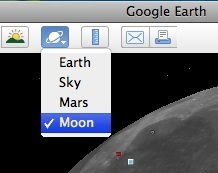 Moon in Google Earth enables you to explore lunar imagery as well as informational content about the Apollo landing sites, panoramic images shot by the Apollo astronauts, narrated tours. The Mozilla Corp. has released Firefox 3.5.1 to correct security problem . If you want to see the list of bugs/issues fixed in this release you can see the bugzilla of Mozilla. FireFox 3.5.x is having lot of new features. You can refer the Mozilla Developer site to know the features available for developers. If you are not a developer you can see this section. Find below the summary/highlight of some features. Open audio and video support- Firefox 3.5 supports embedded video and audio using the open Ogg format, as well as WAV for audio. No plugins required. Local data storage- FireFox3.5 adds support for Localstorage property Webstorage for enabling Web Applications to store data in user's Computer. Faster page rendering using technologies such as "speculative parsing." HTML 5 support- Firefox 3.5 adds support for the HTML 5 audio and video elements and fully supports the HTML 5 offline resource specification. The HTML 5 drag and drop API allows support for dragging and dropping items within and between web sites. Updated our knol about Twitter. QTP knol was nominated for the Best Knol of the Month July 2009 Award as this knol got Top Pick Knol Award. And, this knol got good Star Ratings.. Google has given PR3 (Page Rank 3) in very short period of time. And, Our QTP knol is getting displayed as Featured knol at Home page of Google knol. Gallery is the php based Photo management application. It is extensively using cache mechanism in server side to render the images and data quickly. This server-side cache will be an head-ache when debugging the Gallery application after making any changes on it. i-e Gallery will show the previous result from cache, it won't reflect the latest code/data/image change. In this situation we need to clear the Gallery cache. Find below the steps for clearing Gallery Cache. Enter the Gallery setup password and click "Verify me". The "Gallery Support" page will be displayed. In the above page click on "cache maintenance"
Clicking "Clear Cache" on the above Cache Maintenance screen will clear the Gallery Cache. Clear the "Derivative" only when it is really required. NASA is in final preparation for launching space shuttle with seven astronauts to the International Space Station (ISS). 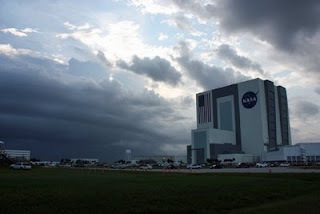 NASA is in the process of investigating whether any damage was done to the vehicle by the lightning strikes on Friday. 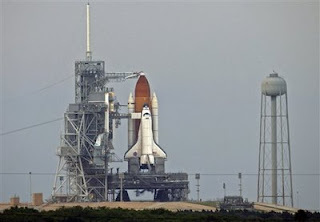 It seems space shuttle will be launched today if no damage is detected. 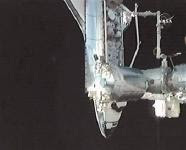 Endeavour's STS-127 mission has already been delayed twice by a potentially dangerous hydrogen gas leak from the shuttle's external fuel tank. According to the Mission managers, this issue was resolved and tested successfully. When Endeavour docks with ISS, it will be the first time thirteen people have been at the station at the same time. Shuttle Endeavour Docks With Space Station - The space shuttle Endeavour has docked with the International Space Station, after a two-day trip to make the population in the ISS to 13. I have added a new section Basics of vbscript to our QTP knol. This section introduces use of vbscript in QTP and explains about variables, operators, conditional statements, looping statements and built-in functions. And, created a new knol for listing articles that are useful for learning QTP. We know that many websites are using cookies for storing some user data in browser to improve user experience. C#.net is having webbrowser control for creating applications useful for automatically navigating/crawling websites. It will be required to delete these cookies in webbrowser control when using it for different set of user logins. Below C# function will be useful for deleting the cookie for IE (Internet Explorer) browser. As webbrowser control will share the cookie with IE, this code can be used for deleting webbrowser control cookie. I heard that cookie will be stored somewhere temporarily also, and this function won't delete it. But I am not sure about. If anyone know more details about this temporary cookie you can share it here. Collection of Popular articles useful for mastering Web Site Development. This post will list most popular articles for learning website development. These articles are selected by measuring their popularity and worth using voting system such as Digg, reddit and DZone. If you don't know anything about web development, you can start by reading w3schools.com. It is having simple and effective tutorials for learning basics of most of the web development related stuff. Before start learning web development you should know how actually webserver is working. Beginning Web Development- This article will give overview for website development. Introduction to PHP - A Popular Programming Language- This article will give introduction to PHP. php.net will help to know more about php and functions used in php. This article will help you to set up php & mysql with apache server. Lot of reliable PHP Frameworks are available to reduce the development time. The below article will list some of the PHP frameworks such as Zend Framework and Symfony. Cascading Style Sheets (CSS) provide a strict separation between layout/design of the page, and the information presented on the page. Thus the design of pages can be easily changed, just by replacing a css-file with another one. Below articles will explain the effective use of CSS in websites. It is important to understand Session and Cookies to implement user authentication system effectively. Content Management System (CMS) is an application used for enabling the users to publish, edit and delete articles/news easily without having any knowledge in PHP/HTML/CSS. Find below some popular articles related to CMS. 20 Promising Open Source PHP Content Management Systems(CMS) - This article will list few open source Content Management Systems such as Wordpress and Joomla. You can read our previous post about ajax to get introduction for ajax. As both Internet Explorer and FireFox are used by most of the users, it is necessary that the websites should show correctly in these two browsers. The below article will help to achieve it. If you are looking for the perfect icon for your web site, blog, web app or application, you will find them at below webpage. Refer our previous article to know about Web Development Best Practices. Once after completing website development, we need to do some adhoc testing to make sure it is working fine. Useful Glossaries For Web Designers and Developers - This article lists links for the webpages showing Glossaries for web development. As iPhones are becoming more popular, it is necessary to consider iPhones while developing websites. Read below article for knowing tools available for iPhone. The below article will help to complete the website development quickly. I have collected some most useful article links which are selected based on voting system (e.g having 1000+ Diggs). And I am planning to highlight top 5 links in separate post after few months based on users review comments. I will be updating this list frequently. So you can recommend any new useful web-development related article link for getting added into this list. Find below the collection of popular articles. Most of these articles are having some number in their title. These numbers may not be having any significance, but these articles got good number of votes/diggs from users. You can follow us or subscribe to our RSS feed to know more updates.